Flip a coin, if heads this attack does 60 damage plus 20 damage. If tails this attack only does 60 damage. Flip a coin, if heads this attack does nothing. If tails, this attack does 100 damage. Comments : Put this card onto your Active Mewtwo. 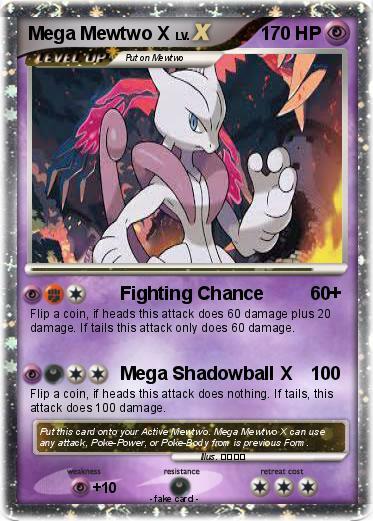 Mega Mewtwo X can use any attack, Poke-Power, or Poke-Body from is previous Form.